Each process owner should have a representative for their process that understands the future state. They need to be accepting of change and be able to embrace doing things differently. Keep in mind that the people who know how the process works today may NOT be your best team member. Resistors to change, who will be key for implementation and adoption, can be involved, but not at the expense of the project as a whole. Today, there is no single vendor who will support all processes the exact way you want them to. Each vendor will have some processes that fit 100% and others that may hit an 80% fit. Thus you need to determine the highest priority processes and make sure you have as close to 100% fit for those, and the rest just needs to be “good enough”. Setting expectations is key and you will experience a “buyer’s remorse” if you believe there is a system out there that will do everything exactly the way you do them today. The key to success is not to have to change that which is working well, or that which will be too disruptive to the business. But there will be change, so prepare for it. Unless you are a very early adopter of a specific product, software today technically works. However, if it does not support your process, it will not work for you. The differentiators between providers is the ability to handle your workflow processes and the role of HR, Managers and employees. Include this in your RFP and/or demos to truly understand if this software will work for you. In today’s world of Software as a Service (SaaS), the reoccurring annual cost is an operational expense, and cannot be capitalized. Make sure your business case accounts for this as an annual reoccurring expense. Place monetary value to the savings or cost avoidance that will be gained in compliance and business continuity. The business case should also include process improvements, headcount reductions and expansion of services. While we all want to get the best possible contract, keep in mind that your software vendors need to make a profit in order to remain viable. In fact, you want them to be profitable so they continue to invest in their business; hence, there is a floor that the vendor will not go below when pricing the solution. Remember that the SaaS model is successful only if the vendor can support the service level agreements (SLA’s) executed, which is why these are standard for all customers. Look for other ways to obtain an agreement that is favorable as a whole. Often, training can be provided at no cost, there may be a savings on the implementation, as well as favorable pricing on add-on modules with rights for future purchases. When left on their own, a vendor will focus on what they want to show you, which is not necessarily what you want to see. Creating an agenda and scripted demo allows you to manage the process and provide the vendor with guidance on what needs to be shown. The script should include the processes that are high priority to gain an understanding of how they would be executed in each system. It is also important that all vendors execute the same script to get a perspective on which product will be best fit for your processes. The analysts’ reports (Gartner, Forrester, e.g.) are helpful in understanding the strengths and weaknesses of a vendor. However, they do not know if the vendor will meet your specific process requirements, or your budget. Additionally, these analysts do not evaluate all vendors in the marketplace. Thus, use this as one data point in the process and not as the basis for a decision. You know your business, they know the HCM Marketplace, the product differentiators and how to write the RFP to get the answers that you are looking for. Additionally, an experienced consultant, who is vendor neutral, will guide you through a process that results in the best solution for your organization. If a firm receives any type of incentive for bringing a sale to a vendor, they are not neutral. HRchitect is a vendor neutral HCM consulting firm with a proven track record for success in vendor selections. Our “Secure Selection” methodology has helped hundreds of clients of all sizes and industries select the right software for their organizations. Jacqueline is an HR professional with over 20 years’ experience in Strategic Planning, Systems Management, Project Management, Services Delivery and General Human Resources. Throughout Jacqueline’s career, she has worked with organizations such as, Sears, Beam, OshKosh and Johns Hopkins to create strategic plans around their Human Capital Management systems, as well as leading selection and implementation projects for Talent Management, Talent Acquisition and HRIS systems. In her role at HRchitect, she oversees our HCM strategic consulting group which encompasses HRchitect’s HCM systems strategic planning and evaluation and selection practices. Jacqueline spends much of her time with HCM vendors being briefed on their technology offerings, ensuring that we provide the most current information to our clients who are looking for a new solution. Jacqueline enjoys working with organizations to impact their HCM strategies through the utilization of technology. 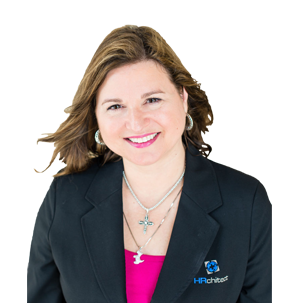 Jacqueline is a Certified Professional of Human Resource Information (HRIP). She also works extensively with IHRIM and is a Summit Award Winner, is currently on the Board of Directors for the HRIM Foundation, after serving as the foundation’s President where she developed educational courses on HR technology use and best practices.